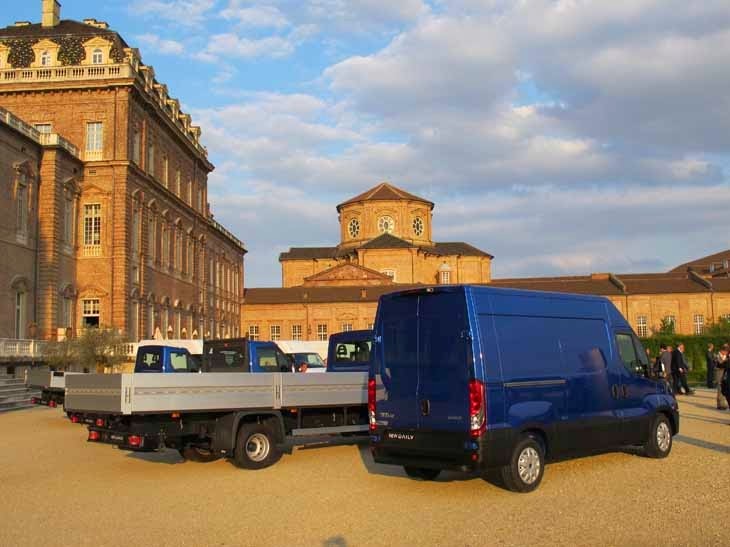 Iveco chose a former hunting lodge of the King of Italy to launch their new Daily van. 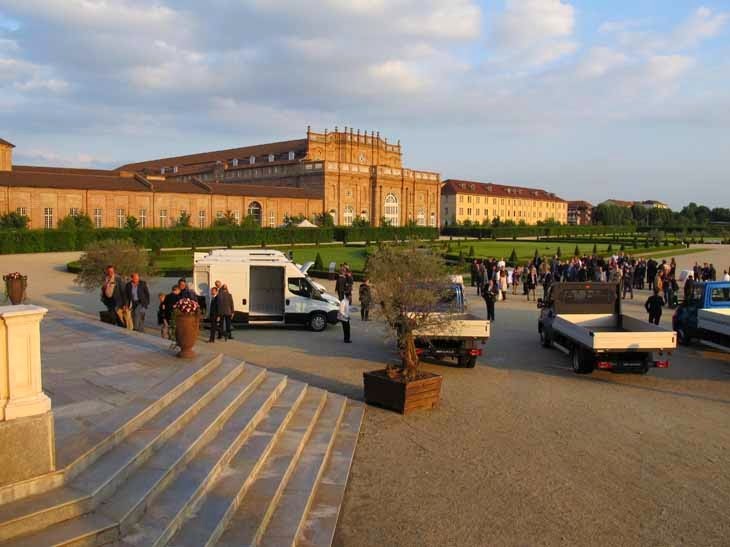 Dating from the 17th century, the Reggia di Venaria Palace just outside Turin in northern Italy comprises a complex of stunning buildings and looked magnificent in the late evening sunshine. 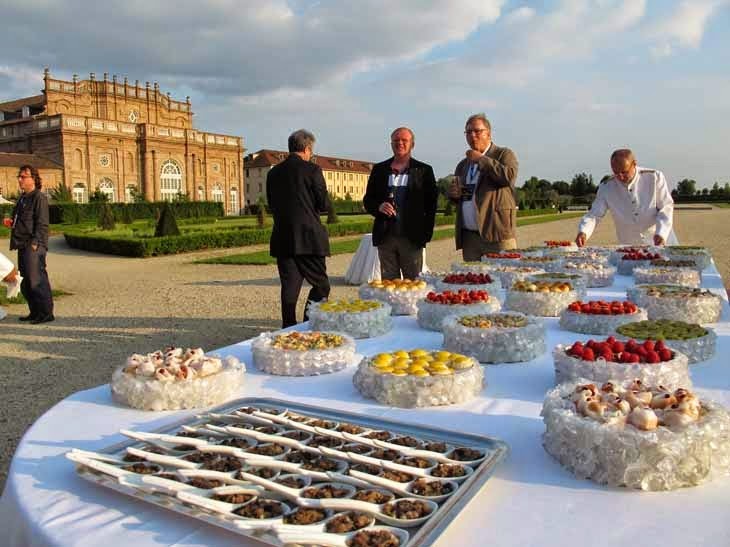 This being Italy, the nibbles were delicate and tasty, while the weather was warm and the beer was cool. Then it was off to the test track and R&D facility at Balocco the following morning. f you’re looking for a decent service van that can tow, then the new Iveco Daily must be added to the list. The Italians are sticking with their 2.3 litre 4 cylinder Multijet engine, which is a wee bit bigger than many of its rivals who are downsizing to 2.2 and 2.3 litres. Admittedly new technology and engine optimisation means that the latest generation of turbo diesels can outperform bigger ‘thumpers’ from the past but those of us who are ‘old-school’ still think there’s nowt to beat cubic inches! And to keep us lot particularly happy there’s a new range of 3 litre power units too, with the most powerful option topping out at 205 hp. It’s a cracker. OK, so you won’t be able to race sports cars with it, but if you’ve got spares in the back and a car on a trailer, it will think Scotland is flat. It fairly romped up the wee hills at the Balocco test track with 980 kgs in the back! 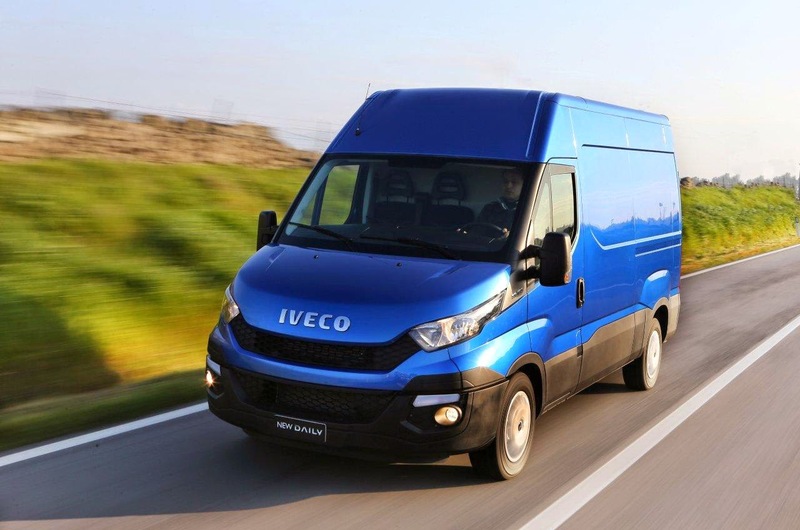 Naturally, this being the Iveco Daily it comes in all sizes to suit all needs. It also drives well and rides very well courtesy of new front and rear suspension. Thanks to new construction methods and the design of the new suspension, payload is now pretty competitive with its rivals. That wasn’t always the case with the box-on-frame construction. It was because of this separate ladder type chassis that the Daily was once considered the truck drivers’ van or the van drivers’ truck. There was never any doubt it was strong and rugged but that came at the expense of payload. Not any more – and it’s really nice inside too. 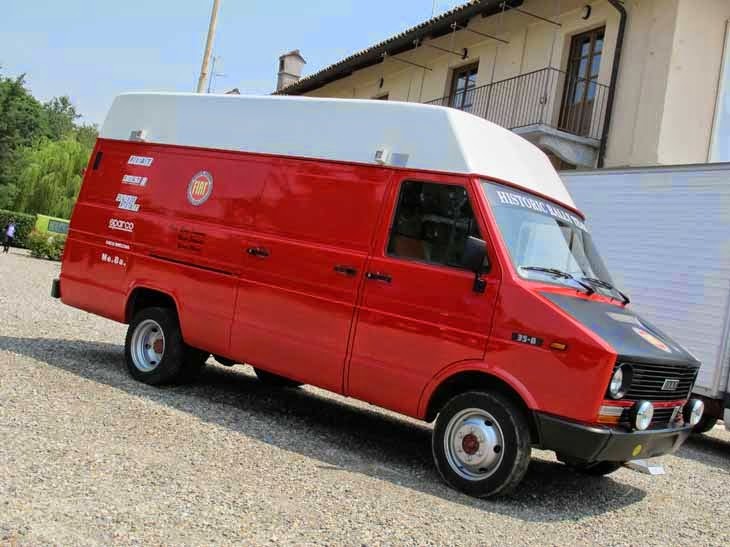 Of even more interest to regular readers, Iveco had a couple of old timers on show to lust after (I know, I’m just a sad vanorak) including this minted 1978 Iveco Daily which had a 2.5 litre diesel producing a ‘massive’ 72 hp! And to think they used to drive these all over Europe towing rally cars. 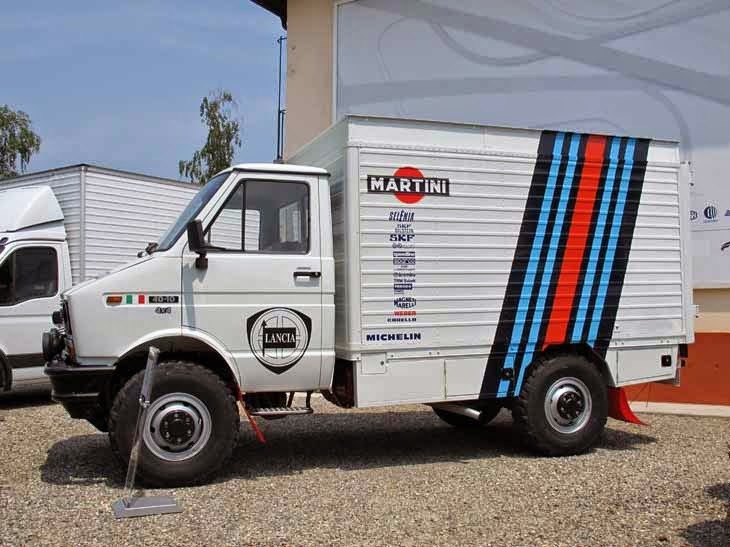 The 1988 4x4 Daily in Martini colours actually had nearly 50% more power from its 2.5 litre engine with 103 hp. Aye, them were the days.